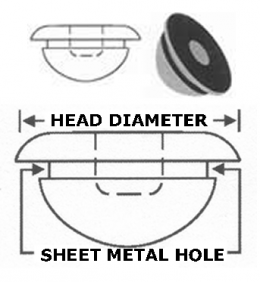 Body Plug - 15/16" SHEET METAL HOLE - 1-5/16" DIAMETER HEAD - MADE OF RUBBER. Sold individually. MADE IN THE USA.